The color of an egg is determined by the genetics of the hens. The breed of the hen indicates what color eggs she produces. Of course, none of this affects the taste of these eggs for sale at the weekly farmers market. 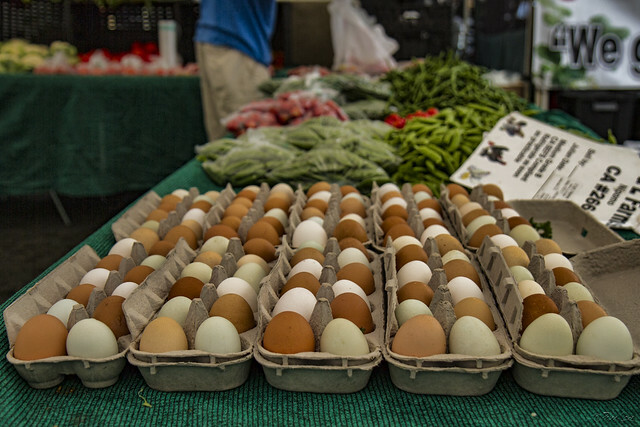 So what makes many-colored eggs so much more appealing? The perfect food in my mind; it is so versatile! I agree, it works for any meal!